You are here: Home / Climate / Carbon trading "a pyramid marketing scheme"
Carbon trading "a pyramid marketing scheme"
The Conservative government of which he is part, under Prime Minister Stephen Harper, won an absolute majority for the first time at the last election on the platform of rejecting a carbon tax or an emissions trading scheme. Australian policy should pay a lot more attention to Canada, for no other economy is so similarly structured to ours. Baird is a good friend of Australia, feels warmly towards the Gillard government, and speaks glowingly of his friendship with Kevin Rudd. He explicitly did not criticise Australian policy. But the implications of his words are deadly. The fact that both Canada and the US have rejected a carbon tax or ETS, and that China, India and Indonesia equally will never go down such a road, means there is no prospect of global action on climate change anything like that which Australia is taking. 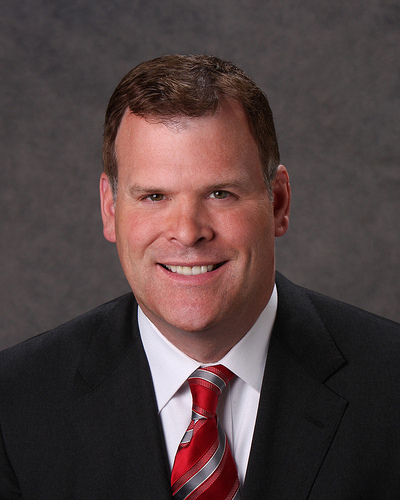 Baird believes that neither Canada nor the US will ever implement a carbon tax or an ETS. More generally, on carbon trading he said: “One of the problems I have with that (approach) is that everyone just lines up to get credit. My province has a lot of trees, where do we get credit for that? We had an enhanced oil recovery project that pumps carbon into oil wells to get an additional 15 per cent of oil out of them and we had a pipeline importing carbon from the US. So they wanted to get credit for sequestration. Nothing surprising when one deals with leftist politics. The Carbon Trading scheme has a hidden time-bomb. See yesterday’s post. No fair ! Canada has a male foreign minister that actually looks like a bloke ! Sounds like a description of the Green/Labor alliance. True … and Australia has a foreign minister that scarily acts like David Brent (Ricky Gervais) … Can you tell them apart? Kevin Rudd or David Brent. I’ve got something here that this bunch of pinko clowns can all kiss. (as soon as I’ve finished sitting on it that is) Don’t worry….I won’t be long…. Pyramid scheme – brilliant. I was calling it ”African Tax Heaven”… well close enough. How can Harper’s ministers scare the Canadians – if the phony Global Warming increases the temperature by 1-2 degrees? Australians are leaders in environmental lunacy, even proud of it. Instead of saving extra storm-water in new dams – to improve the climate; the government is draining the water from the existing dams, into the sea; because Pacific doesn’t have enough water…?! Repossessing farmer’s water, to drain into the estuary. Then to desalinate that same water, after it mixes with the salty water. Farmer’s water after evaporated, was keeping alive the surrounding vegetation. Was attracting some clouds. Less moisture in the air – clouds will avoid even more Australia; we are already importing food from China – beat that lunacy, Canada. Can we swap Julia for Harper? They can have Bob Brown as their monarch, for free. You only need to look at the list of countries with coalition governments, that include ‘Green Parties’, to see why we have such a problem in Australia. There are only 3 countries in the world where the Greens form a coalition Government – Iceland/Finland/Australia. There is only 1 country in the world where the Greens form a coalition Government and hold the balance of power in the Senate – Australia. The claim that carbon trading is “a pyramid marketing scheme” has a lot of truth to it. The latest news to come out of Japan would indicate there is no need for any emissions trading schemes and carbon taxes at all. The IPCC, and bodies like the EU and the UK and Australian governments, heavily promote the idea that industrialised nations are the major emitters of greenhouse gases. But based on the latest scientific evidence from Japan, the world has got it very very wrong. According to latest evidence from Japan’s Aerospace Exploration Agency (JAXA), industrialized nations emit far less carbon dioxide than the Third World. It’s a huge ponzi scheme for which there will no shortage of fraudulent carbon cheats. As a canadian, the only thing I regret about this is how reluctant conservatives have been when it comes to saying this sort of thing at home. None the less, I am happy to see this and also commend the courage of the reporter. This is why I like this site! As for campaigning against climate action, there really wasn’t much of a mention during the campagin. They just got it out of the way early on and no one really wanted to talk much about it later. Its sort of the worst kept secret that the conservatives are canada’s only climate skeptic party. I wonder if the canadian MSM (CBC) will notice. Copied from Enron’s energy credit system by Al Gore and Bill Clinton, since convicted of being a major fraud but still continued as carbon trading regardless. Al Gore goes around the world and makes himself and for US lots of millions. On the other hand; Australian Warmist – they think globally, but sponge locally. – A side note to the Canadian “Harper” Government and their Absolute Majority ” It is a big spin on absolute facts and political number swizzing! 60% of the voting public went against the Conservatives!!! Canada DOES NOT have a DEMOCRACY with First Past the Post! We need proportional representation! Harpers Government” is merely a northern extension of Republican NeoCon USA – God bless america! all others pay cash -maybe make USA a loan! anything!